!! OMG, he’s our Coverboy: Gary !! Congratulations to the new !! omg social club !! 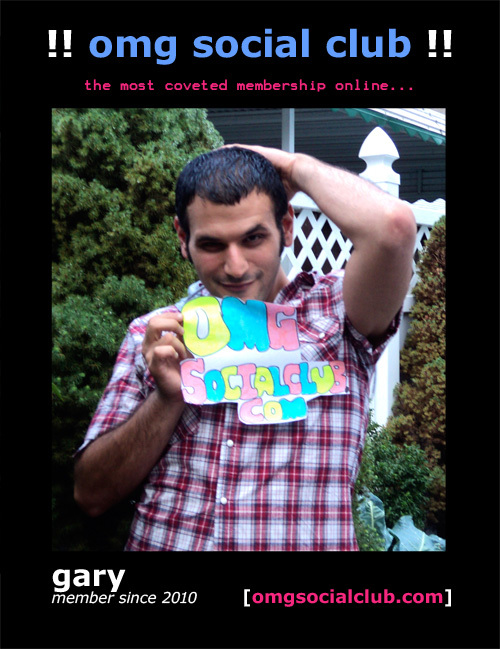 Coverboy Gary! What a coquettish pose! Add Gary as a friend here, and please check out his awesome blog Zombie Toenails! Do you want to be the next Coverboy? Details are here. 2 Comments on "OMG, he’s our Coverboy: Gary"
Gary, ZombieToenails is a great site. But I’m having trouble with Chrome loading it quickly due to a flash error of some kind. What would you recommend for the best browser to visit your site with?